Please use this form to communicate with me about genealogy, both in general and about using WebTrees, my online genealogy software. This is a good place to request a password change or notify me that you have registered for an account and need verified. WebTrees is open source, web-based genealogy software that forked off from phpGedView. I am currently using it to record and share my family’s genealogy information here. The phpGedView software is no longer being developed, so in 2015 I migrated my genealogy information to WebTrees (see above). The information below is for historical purposes. You can download the program for free from the PhpGedView web site or from Source Forge https://sourceforge.net/projects/phpgedview/. What if you don’t have web hosting? MySQL, PHP, and Apache web server comes pre-installed on most recent Macintosh computers. For Microsoft Windows desktop computers you may install XAMPP. This will allow you to use PhpGedView on your local computer like a desktop application, but you won’t be able to collaborate with others the way you can if you have web hosting — details here. Most ISPs don’t allow you to run a public web server through their connection. It is worth shopping around for web hosting. You can often get hosting with a lot of features for less than $10 a month. This is less than the cost of many commercial online sites plus you can run other software (such as a blog or photo gallery or an interactive site to advertise your business) too. 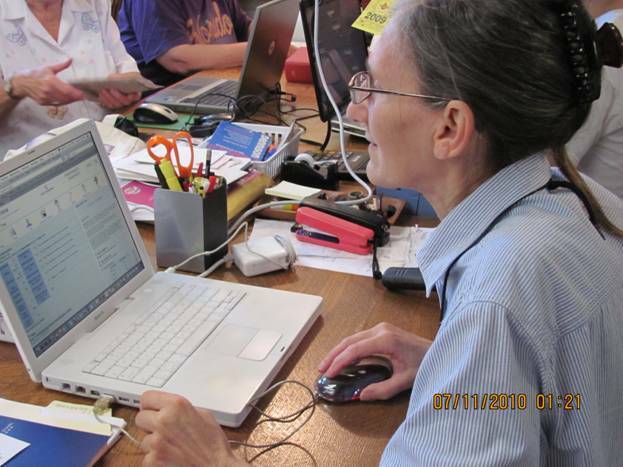 Photo from the Armstrong County Genealogy Library on July 11, 2010, by Kathy M.